Anthurium flowers aren’t native to Hawaii, but they have certainly made themselves at home here in our lush tropical paradise. 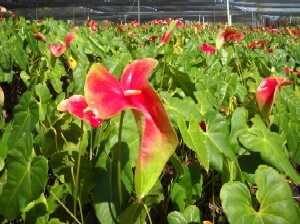 If you would like to buy anthurium flowers from Hawaii, please be sure to check out our anthurium flower catalog. But now, let’s get back to our story. Anthurium Flowers: Where Do They Come From? Before they decided to make a home for themselves among the volcanoes and beaches of Hawaii, anthuriums grew in the hot, humid rain forests of Central and South America. There they grew undisturbed for thousands of years. 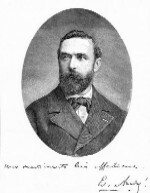 Then one day in 1876 a man who would later become the head gardener of Paris, Edouard Andre, spotted a beautiful plant, while on a botanical expedition in the rain forests of Columbia. It turned out that this plant was an anthurium plant. How Did The Anthurium Get To Hawaii? 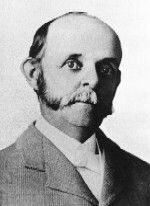 In 1889, Samuel Mills Damon, Hawaii’s Minister of Finance (and also Hawaii’s fourth largest landowner at the time) brought the first anthurium to Hawaii from England. He planted it in the gardens of his estate. In the 1930s and 40s anthuriums spread from Damon’s estate all around Hawaii. Hobbyists began growing anthurium flowers in gardens and even their backyards, under Hapu’u tree ferns or tangerine trees. The year 1936 was an important year for Hawaii’s anthurium flower industry. This was the year that a red anthurium which came to be known as the Ozaki was found in the garden O. Ozaki in the town of Hilo on the Big Island of Hawaii. 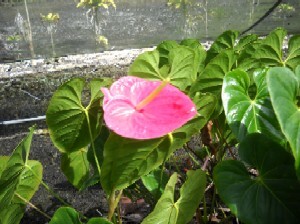 At one point in time, the Ozaki was one of the best selling varieties of anthurium flowers from Hawaii. 1946 marked the discovery of a beautiful orange anthurium called the Nitta. It came from the garden of Asako Nitta and some say that is bears a striking resemblance to the original anthurium discovered by Edouard Andre. In 1950, Haruyuki Kamemoto, returned to Hawaii after finishing his PhD at Cornell and launches the University of Hawaii‘s anthurium research program, which, as we will soon see, has a significant impact on the anthurium industry in Hawaii. 1963 was another important year. It marked the release of the Uniwai white anthurium and the Marian Seefurth pink anthurium from the University of Hawaii. The Marian Seefurth anthurium was named after the wife of a man who made a very generous donation to the UH to fund anthurium research. These varieties were the first in a string of new anthurium varieties released by the University of Hawaii. 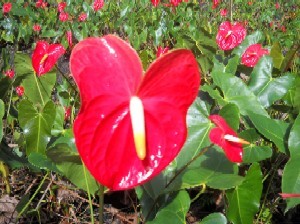 The Mauna Kea anthurium was released in 1977 by the UH. 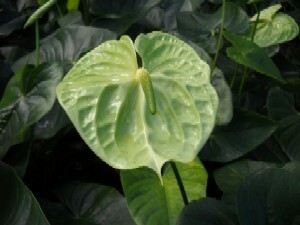 It is a large white and green obake anthurium variety. In 1988, the first anthurium to be patented, the Starlight, which was developed by Calvin Hayashi, is introduced to Hawaii’s anthurium industry. It produces red flowers that are mottled with white specks. Mr. Hayashi also developed a dazzling green anthurium called the Midori. In 1993, the University of Hawaii’s first patented anthurium is released. 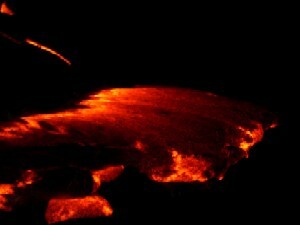 It is the Kalapana anthurium, which is a red and green obake anthurium flower. 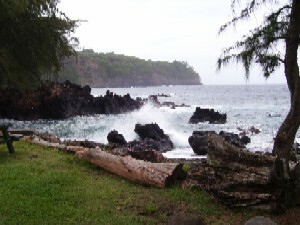 It is named after the magnificent black sand beach that was destroyed by a lava flow from the Kilauea Volcano. Here are a few interesting anthurium related items that I saw on Amazon. I get a small commission from Amazon if you buy something through one of my links. The commission helps me to keep this site running and it doesn’t cost you any extra because Amazon already factors it into the price of all of its products.